"Helping the World they left behind"
Welcome to Sovereign Funeral Directors Brisbane. Your local not-for-profit funeral company. Supporting your local community. Sovereign Funerals is a Queensland owned and operated funeral company based in Brisbane. We provide affordable funeral services to families in the Brisbane, Gold Coast, Sunshine Coast and Ipswich areas and everywhere else in-between. We offer affordable burial or cremation services and can customise each service to meet your family’s needs and budget. We understand that arranging a funeral for someone you care about can feel like a daunting task, so we promise to guide you through the entire process with the utmost care and compassion. 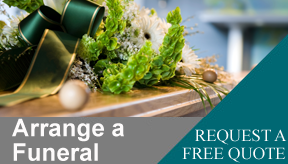 A funeral is a very personal arrangement, so our funeral directors will take the time to fully explain the process and we will answer your questions with the respect that you and your family deserve. We have compiled a comprehensive list of Cemeteries and Crematoriums around Brisbane to help you choose the most suitable location and burial option for your loved one. We can also assist you with pre-panning your funeral to make things a little easier for your loved ones during their time of grief. And you can pre-pay your funeral with Sovereign Funerals at today’s prices, so your family won’t need to pay a cent when the time comes. Sovereign Funerals are members of the Independent Funeral Directors Association of Australia, ensuring you receive the best possible standard of service at the most realistic cost. Sovereign Funerals is different to the other funeral companies. We are a not-for-profit organisation, because some things just shouldn’t be about making money. This means that after our costs have been taken into account, every dollar of profit that’s left, is given to fund programs that support people in need locally and around the world. Choosing Sovereign Funerals means that you can leave a lasting memorial to your loved one, knowing that their funeral service has contributed to making a better life for other people in need. To find out more simply fill out the form on our Contact Us page, or call (07) 3204 4287. We’re here when you need us.